Operating a business is, well, busy. Ensuring that every facet of a company is working as effectively and efficiently as possible is crucial to success, including a major part of every organization: IT. Finding the right IT solutions is vital to the success of a business, but it can be a tedious process. This can prove difficult, costly, and time consuming, especially for startups and other companies experiencing growing pains. Due to these challenges, many are considering outsourcing their IT tools, specifically hosted cloud identity and access management (IAM). The hosted cloud IAM scene is exploding. 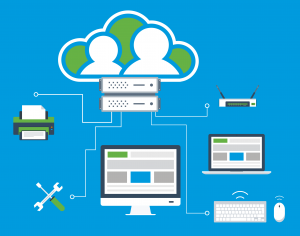 With major IT providers shifting their solutions to the cloud, managing access to them is a critical component of their plans. In fact, many of those providers view their cloud IAM offerings as a gateway to more business. The concept of cloud IAM can mean many different things to many people. In general, the major software and infrastructure providers, such as Amazon®, Google®, and Microsoft®, have all used the term cloud IAM to refer to their user management platforms created for their own products and identities, and the use of those identities within web applications. In a sense, cloud IAM has become the term for a captive identity management solution for these organizations, and, ultimately, their way of centralizing your identities and business within their platform. While useful for their own offerings, many of these enterprise cloud IAM solutions are limited in heterogeneous environments. The majority of today’s businesses can leverage any one of or several solutions, from AWS® to G Suite™ to Azure® and everything in between. Since each cloud IAM solution is tailored to its specific brand, cooperation between platforms is often sparce. 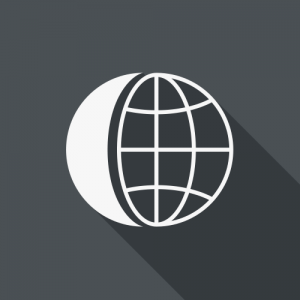 For most IT organizations, the idea of outsourcing an IAM approach to the cloud is much broader than user management on just one platform. 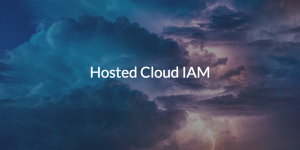 The concept behind hosted cloud IAM is to securely manage and connect user identities to all of the IT resources users need. This vendor-neutral approach ensures that IT admins can leverage the right IT resources for their organizations and connect their users to those, securely. The good news is that JumpCloud® Directory-as-a-Service® is taking this vendor-neutral approach to hosted cloud IAM and expanding it to include on-prem resources, as well as cloud. With JumpCloud Directory-as-a-Service, organizations can manage identities and their access to applications, files, systems, networks, and more. Since it is vendor-neutral, JumpCloud federates this access regardless of platform, protocol, provider, and location. Featuring an easy to use remote browser console, Directory-as-a-Service offloads the heavy lifting of IAM off admins and employees alike, making it an ideal hosted cloud IAM choice. See JumpCloud in action, and sign up for Directory-as-a-Service today! You can explore how easy and effective the product is yourself for free, with ten users included au gratis to get you started. If you have any questions, you can always contact our Support team or watch a Whiteboard or Tutorial video on our YouTube channel.